Since the introduction of User Account Control (UAC) with Windows Vista/Server 2008, scripter have to deal with detecting if the user executing commands or scripts is effectively granted the necessary privileges, ie. is running with elevated privileges. Note: If someone has a native PowerShell replacement for fetching a user token please let me know ;). Categories: PowerShell, Scripting and Automation, Security, Tools, Windows Internals | Permalink. Performance Analysis of Logs (PAL) is a free tool designed to analyze Windows Perfmon-based logs against predefined thresholds. The thresholds are defined in configuration files usually mapped to an MS technology (.Net, IIS…) or product (SQL Server, SharePoint. It produces reports in HTML or XML formats, the first one also including eye-candy charts. In a nutshell, PAL almost completely removes the hassle of reading and interpreting performance logs. However, making sense of PAL reports in real life may also require time for experimenting and unfortunately, very few guidance can be found on the web. Therefore I wanted to close the gap a little. PAL is the perfect tool to be used when you investigate mostly infrastructure-related performance problems impacting Microsoft product and technologies. It helps translating Perfmon logs into humanly readable reports with added value brought by charts, recommended thresholds and generic guidance. A report is roughly made of 2 sections: chronologically ordered alerts and statistical figures enhanced with their matching charts. In my opinion, PAL is not designed to help you trending or building up your capacity planning in the long run. for this purpose, product such as SCOM should be preferred. Likewise, PAL should not be used as a performance monitoring tool. Finally, PAL will not help drilling down into the code and will not cover end-to-end performance monitoring or troubleshooting. For this purpose, a real APM or tracing tool should be preferred. Practice a little with Perfmon capture and PAL in a test environment. It seems obvious but many organizations I worked for were directly in their production environment with a full counter set, a high capture frequency and this during abnormally long periods. This leads to loss of time for generating reports and lots of frustrations and confusions since the reports contains too many information’s to actually be helpful. Decide if you will generate PAL report on a computer dedicated to this purpose or if you prefer to do it on the monitored server during off-peak hours. Keep in mind that while capturing counter has very little to no effect on performance, performing PAL analysis is extremely CPU and disk I/O intensive. Although PAL does it for you, make sure you understand what each counter really means and what it means in your own environment. Avg. Disk Queue Length/Current Disk Queue Length being a good example of misleading/misinterpreted counter. Correctly identify your environment: what are the processes running (at least, the ones making sense), what are the physical/logical disks and their purpose, what are the memory sizing (physical and virtual) and of course the CPU characteristics. While some SharePoint counter will directly refer to SharePoint applications, others won’t. Therefore, it is always useful to have scripts at hand doing the job for you. Be watchful with process ID’s: they may evolve during the time of the capture since when a process crashes, a new one with its own ID is usually restarted. The same happens to a worker process if it recycles. While a 2-hours capture using the default SharePoint 2010 will generate from 30 to 50 MB of BLG file and take about 10 minutes for processing, things will start counting in larger amount. And finally, download and install PAL on the computer you selected for this purpose. Remember, PAL will only be used to generate reports, not capture and reading reports. Therefore there is no strict requirement to install it on every SharePoint server. To ease you life, generate the Perfmon configuration files directly from PAL: Start PAL, go to the tab Threshold File then select the Threshold file corresponding to the work load and finally click on the button Export to Perform Template File. Select the format according to the operating system version captures will be taken from. LOGMAN format is the best choice if your goal is superior automation of the capture process. Carefully plan the capture period. Usually, warm-up of ASP.Net/SharePoint application generate a lot of noise not really relevant to you performance troubleshooting, therefore, it is preferable to start capturing when your application is already in cruise mode. Unless of course if the performance problem occur at compilation time. The same applies to crawl performance troubleshooting: preferably start capturing when the crawl is effectively started, not when it is starting. Keep the sampling interval between 5 and 15 seconds. While less than 5 does not help because it tends to make things look worse than what they actually are (very short CPU peak or intensive disk I/O…), more than 15 may make the capture inaccurate because some missing numbers. In most cases, 15 seconds will do fine. Keep the format to binary (BLG): although not humanly readable, It’s way more compact and directly usable by PAL. Note: some tools can convert Perfmon logs whenever needed, I will discuss that at later time. Finally, and if you run a multi-server farm (remote SQL for example), decide if you prefer to put capture from various servers into the same log file or if you which to use separate logs. Remember that in most cases, the footprint of Perform is usually negligible. if you chose for per-server capture, make sure you sufficient in control to run them simultaneously. Categories: ASP.Net, Performance, PowerShell, SharePoint, Troubleshooting | Permalink. Since Windows Server 2012 RTM is publicly available, you might be busy upgrading your forest (or at least, planning to do so). I actually did the same in my lab environments and wanted, at the same time, to revisit the AD Schema’s possible version numbers and ways to retrieve it. You will find all details in the article I just posted: Active Directory Schema Versions. Categories: Active Directory, Articles, PowerShell | Permalink. While this error has been around for a while, I recently discovered a new possible cause. An opportunity to pack up this post with all causes identified until now (Therefore a feeling of déjà may be experienced by the reader). You recently upgrade to Powershell V3.0 as part of the Windows Management Framework 3.0, it’s likely you see the error message hereunder when starting the SharePoint 2010 Management Shell. Powershell V3.0 makes use of the .Net Framework 4.0. This combination prevents SharePoint’s Management Shell from working. This will instruct PowerShell to behave like it would do with version 2.0 instead of 3.0. Assuming you’re not granted high privileges on the SQL Server Instance hosting your SharePoint databases such as SYSADMIN role, using SharePoint 2010 Management Shell requires the logged on user to be granted SharePoint_Shell_Access on the Configuration database. Use the command Add-SPShellAdmin cmdlet to grant the user the necessary role. Using the SharePoint 2010 Management Shell requires the logged on use to be effective administrator of the SharePoint server where it runs. Always start SharePoint 2010 Management Shell with a domain user, logged on as administrator and chose the option “Run as Administrator” when right-clicking on the shortcut. To make your life simpler, you can also edit the shortcut of the SharePoint 2010 Management Shell, then click on the button Advanced and finally select the check bow corresponding to the option “Run as administrator”. This will not prevent the UAC prompt from popping up but at least, the shell will always start as admin. Categories: PowerShell, SharePoint, SharePoint 2010, Troubleshooting | Permalink. Hi there. When automating installation and configuration using PowerShell, you may have to push configuration containing credentials. It can therefore be useful to make sure they are correct before actually setting them. My colleague Bert VL (kind of PoSh scripting goldsmith, check his blog) has tracked this using the good old Account Lockout Tools from the Windows Server 2003 Resource Kit http://technet.microsoft.com/en-us/library/cc738772(WS.10).aspx. Categories: Active Directory, PowerShell, Security | Permalink. Long ago I blogged about using PowerShell to read out an XLS(X) file using ADO.Net. Until recently, only the x86 version of the ODBC driver was available. Categories: Office, PowerShell, Scripting and Automation | Permalink. I recently started contributing to the project lead by the SharePoint doctor MVP Fabrice Romelard on CodePlex: SharePoint Management PowerShell scripts. I’ll try as much as I can to keep the script library on my own site in sync with the one on CodePlex. Categories: PowerShell, Scripting and Automation, SharePoint, Tools | Permalink. Lately this contribution from Barto Molina caught my attention in the TechNet Forums: http://social.technet.microsoft.com/Forums/en-US/sharepointadmin/thread/dd50264d-6f4d-4b31-bf7f-959efdbc6b7c/. His C# code iterates through the solutions stored in the local farm and saves them to the file system under the form of a standard WSP file. You’ll find a “PowerShellized” version of it over here: http://www.marc-antho-etc.net/scriptdetail.aspx?script=spExtractSolutions.ps1.txt. I hope you’ll find it useful. Categories: PowerShell, Scripting and Automation, SharePoint | Permalink. Have you seen Client Eastwood’s latest (and probably best?) 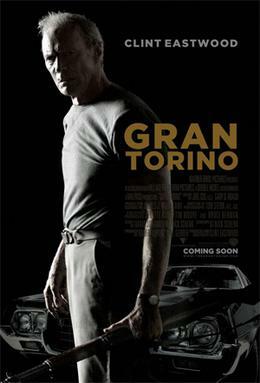 movie Gran Torino? A perfect Drama/Comedy mix with great though less known actors.